Cardiac muscle is one of the three main types of muscle in the human body. Because its function is vital for life, it requires a highly specialised circulation. In this article, we will look at the coronary circulation, adaptations and clinical conditions related to cardiac circulation. Cardiac muscle has its own dedicated circulatory system: the coronary blood vessels. It constantly undergoes phases of contraction and relaxation to pump blood around the body from the heart. As myocardial oxygen demand increases, coronary blood flow must also increase to meet requirements. Anything that prevents blood passing through the coronary vessels, for example atherosclerosis, will result in ischaemia and a consequent myocardial infarction. 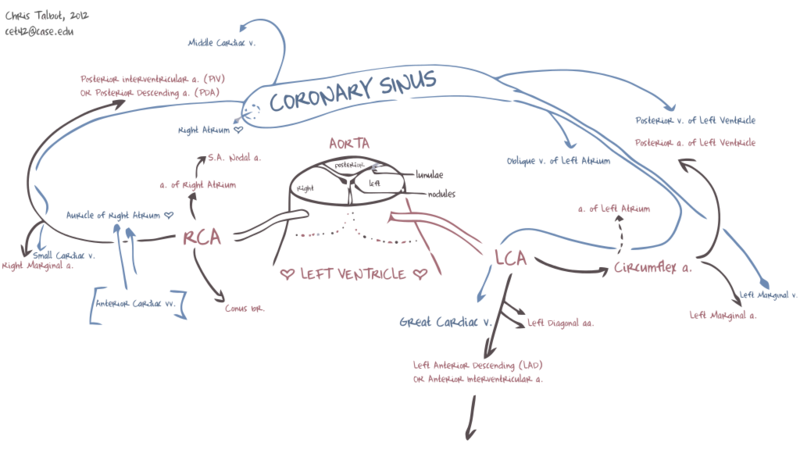 Fig 1 – A brief overview of the coronary circulation. The coronary arteries are unique, as they are perfused during diastole. Entry of blood into the coronary arteries occurs through the aortic sinuses, which are openings found behind the flaps of the aortic valve. As the heart relaxes during diastole, blood fills the valve pockets and hence blood is able flow into the coronary arteries, allowing supply to the cardiac muscle. The coronary arteries also send branches into the myocardium, which are compressed during systole. Therefore, when the muscle relaxes, blood flow in the myocardium is increased as there is less compression on these vessels. In order to help maintain a high basal rate of flow, there is continuous production of nitrous oxide which is a potent vasodilator. Vasodilation can also be caused by the accumulation of metabolites such as adenosine, K+ ions and H+ ions. This phenomenon is known as reactive hyperaemia, and occurs in tissues around the whole body. If blood supply to the cardiac muscle is obstructed, for example by a thrombus, then oxygen to the muscle is restricted. Due to the high oxygen demand from this tissue, it is unable to survive for very long without this supply of oxygen, and therefore this ischaemia can result in an infarction and death of the muscle. This causes the classic symptom of central crushing chest pain, which may also radiate to the left upper limb and jaw. This can be diagnosed through an ECG or biomarkers in the blood. Treatment is Percutaneous Coronary Intervention (PCI) if it is possible within 90 minutes of the onset of pain. In other situations, or if PCI is not available, thrombolysis can be used. Following admission patients will need to be discharged with aspirin, an ACE inhibitor, a beta blocker and statins to help lower risk for future events. 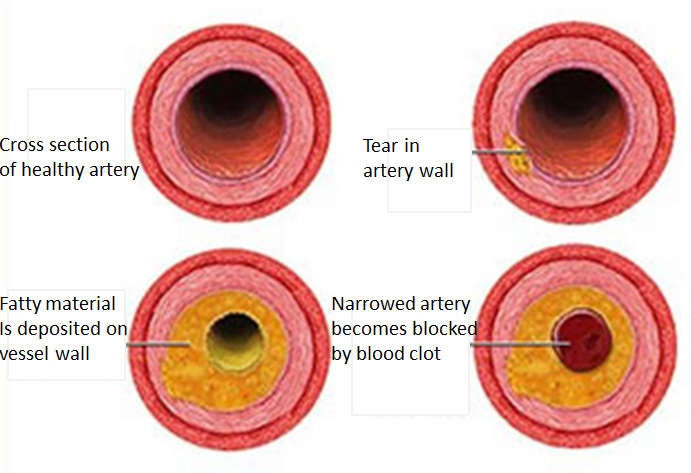 Fig 2 – The progressive narrowing of an artery leading to an occlusion and potential myocardial infarction. Which represents the correct chronological sequence of events in this pathology? When does the maximal perfusion of coronary arteries occur? Where does the coronary circulation begin? Where is the aortic sinus located? How does the heart maintain a high basal flow rate?